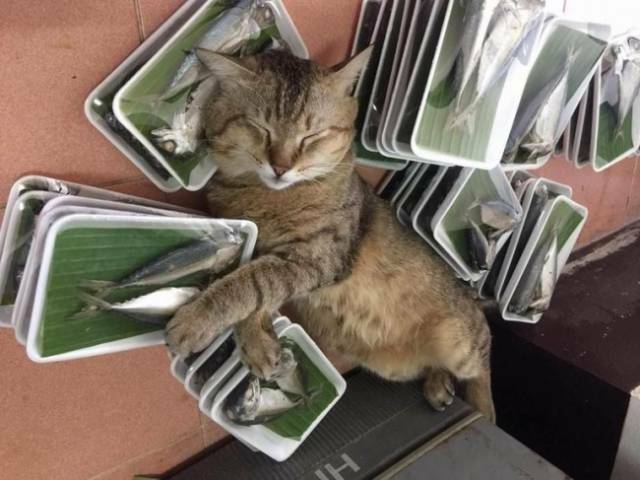 Here it is — a cat’s paradise. 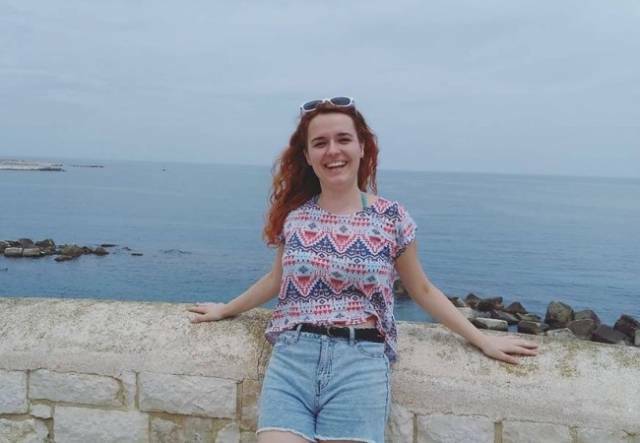 "2 months after a compound fracture of both ankles, surgeries, and a recovery period, standing on both feet is incredible happiness!" 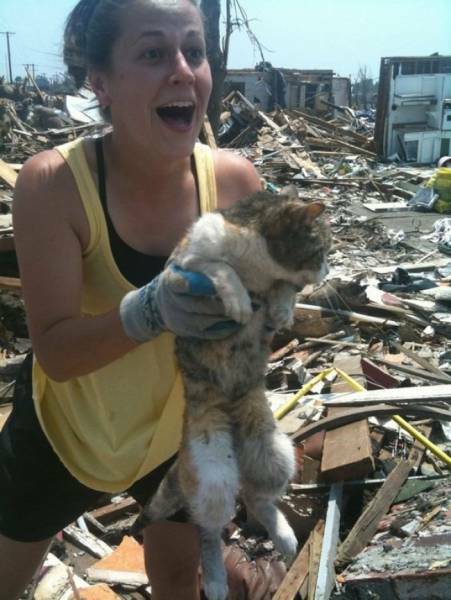 This lady found her cat alive 16 days after a tornado. 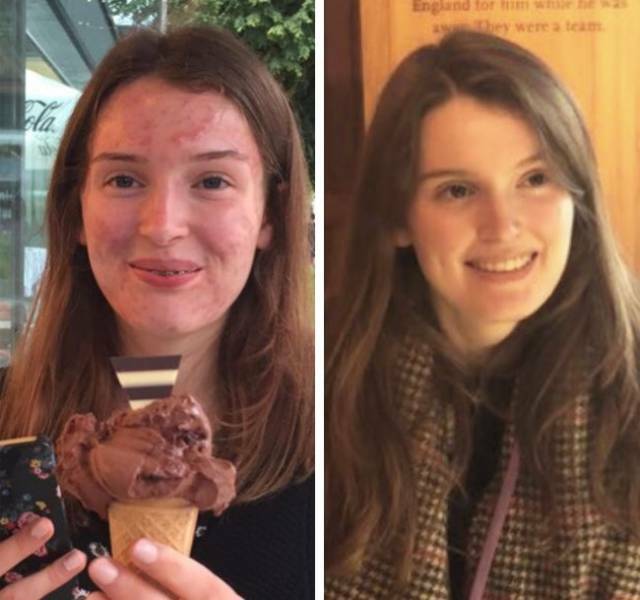 This girl is happy because she finally had her skin healed. 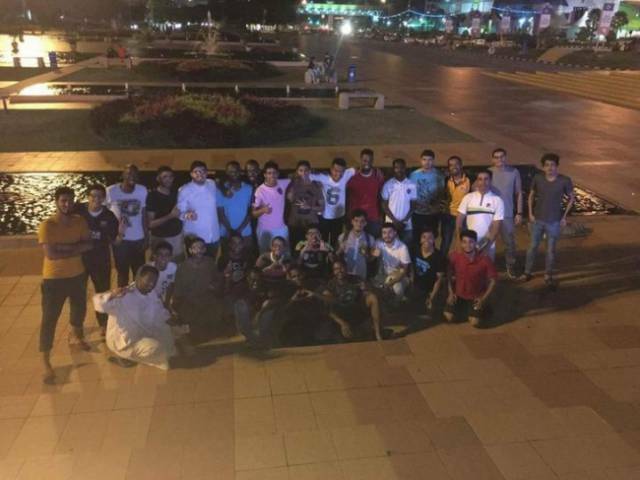 "Having left the hospital after treatment, I realized all my friends came to meet me. One of the best days of my life." 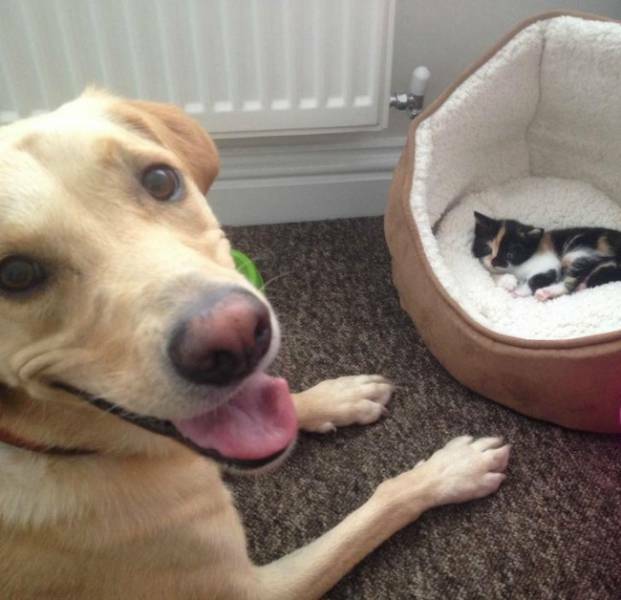 "I was worried about my dog’s reaction to a kitten at home. 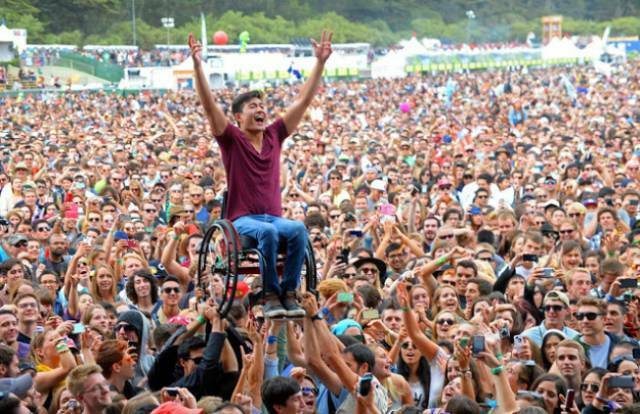 Yet look at how happy he is!" 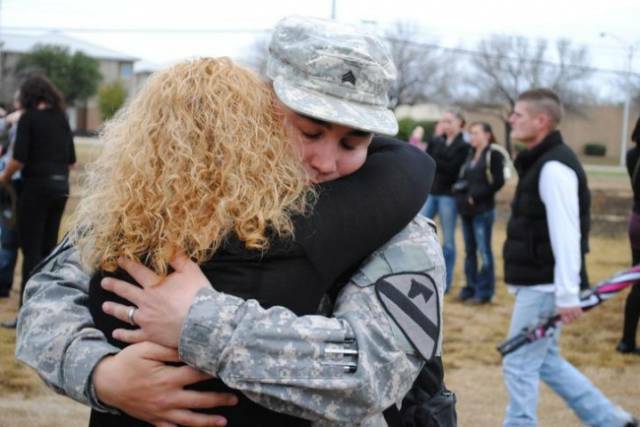 "My husband has just returned from his last Iraq tour." 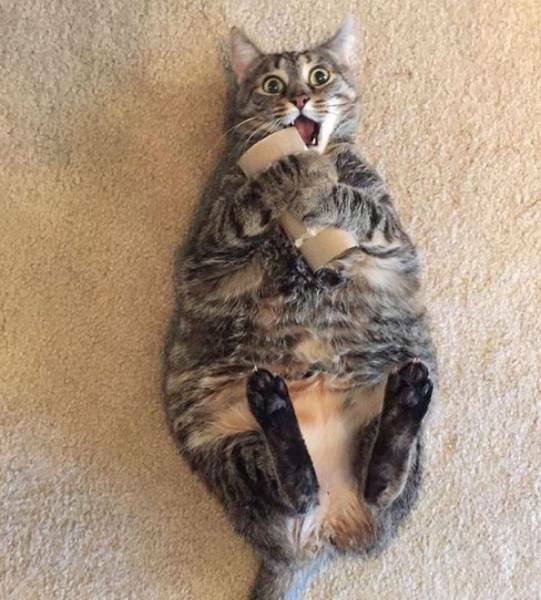 All a cat needs for happiness is an empty toilet paper roll. 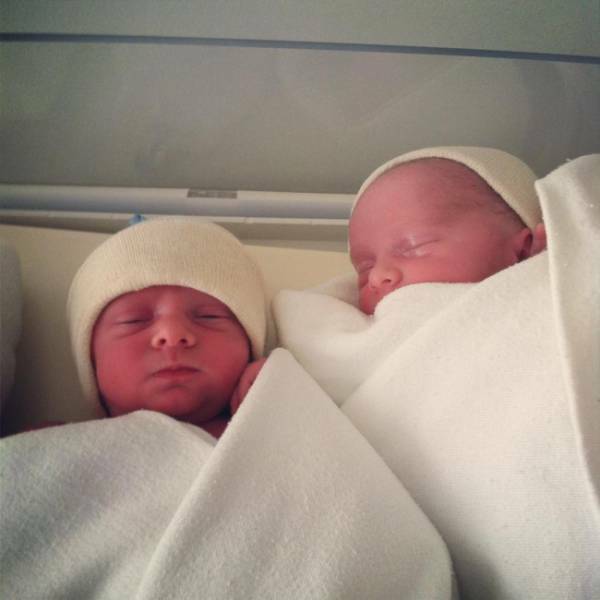 "My twins were born today." 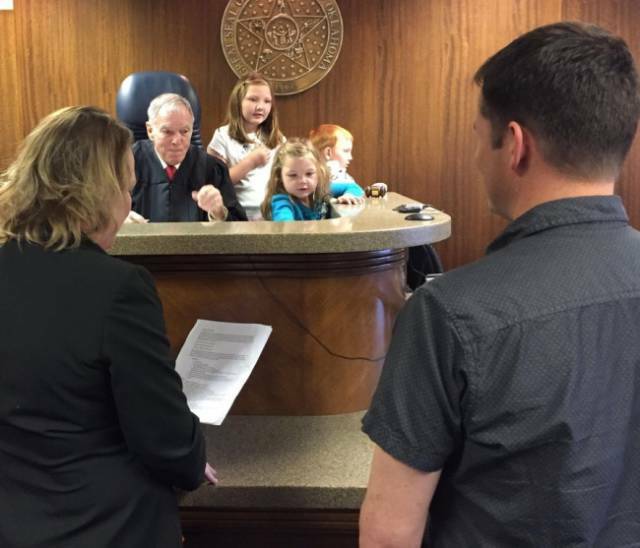 "We can finally adopt these kids!" 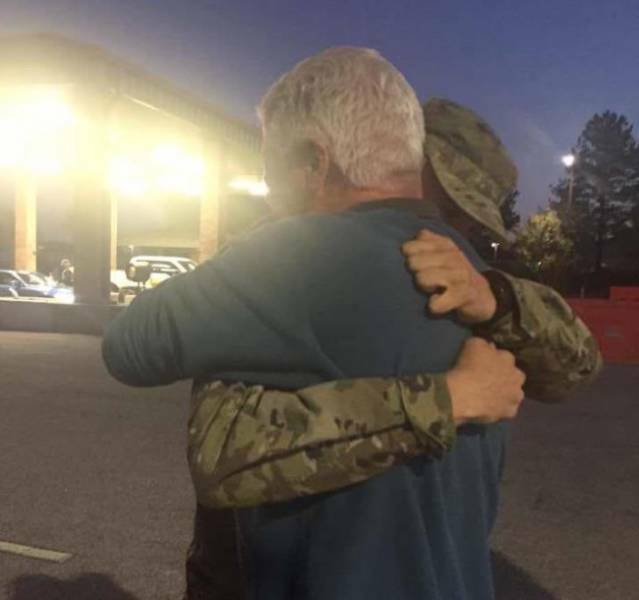 "My long-awaited reunion with Dad." 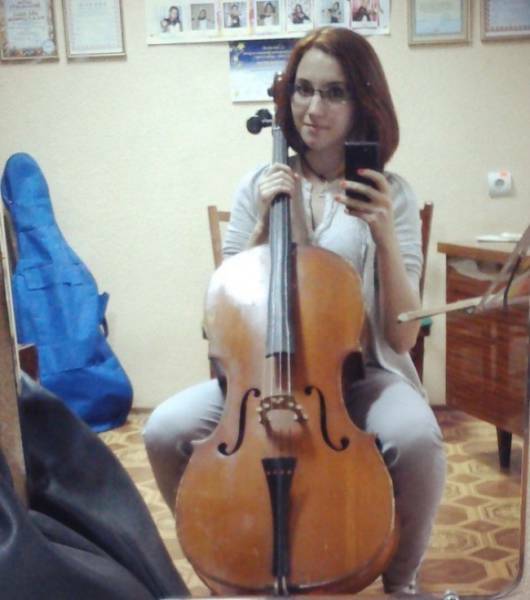 "I’m 20, and I’ve finally fulfilled my dream of entering a music school." 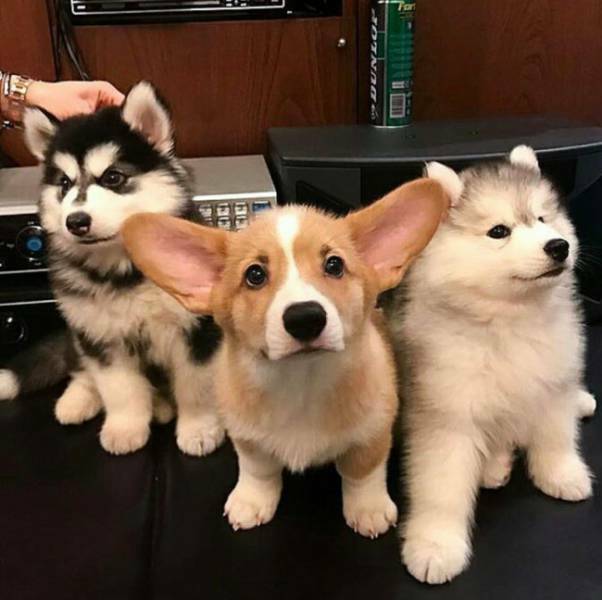 "We came to choose a puppy for my sister. 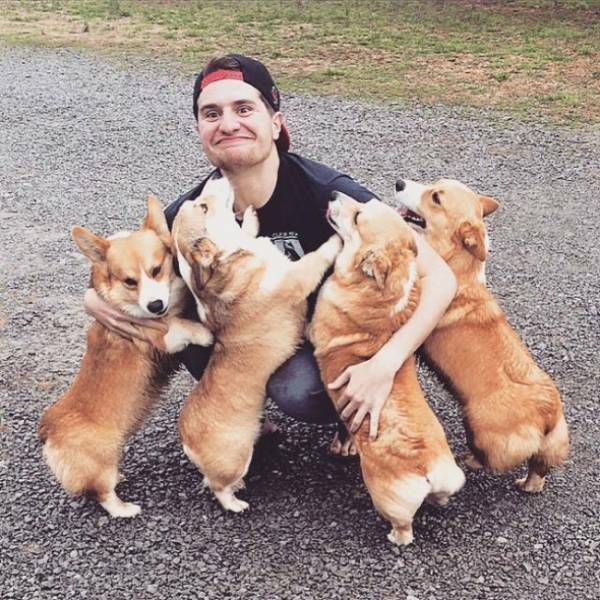 Just look at how pure happiness looks." "’I promise to love you in sickness and in health. 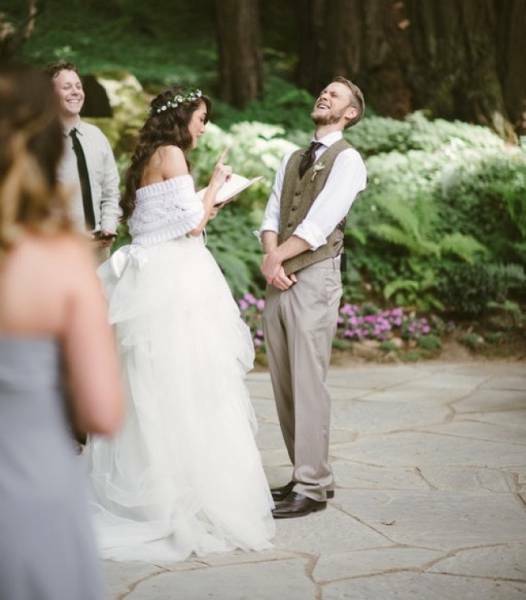 Especially in sickness since you gave me the flu a week before our wedding, and now I sound like a 90-year-old man.’ Here’s why my husband is laughing so hard!" 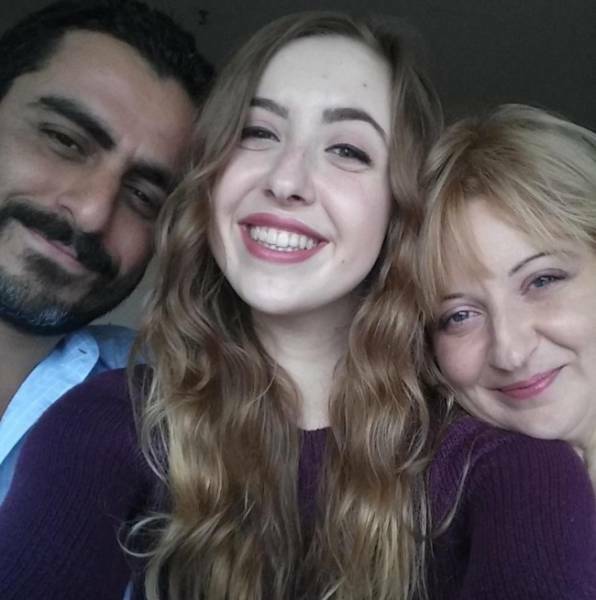 "Here’s what it looks like when you come to the sea for the first time in a long 6 years." 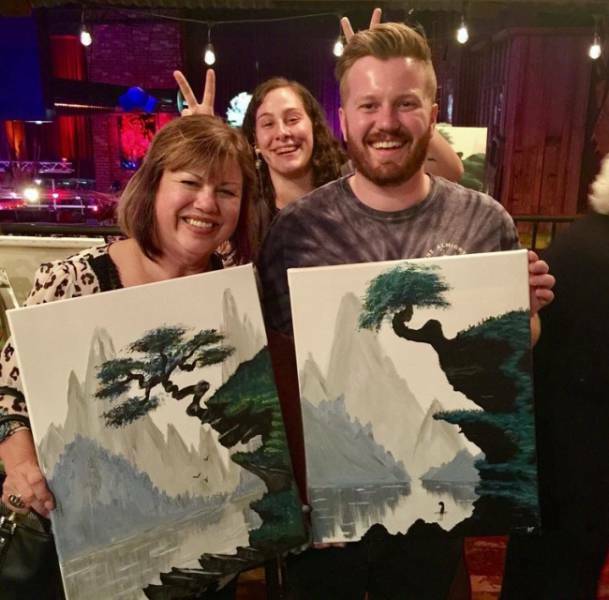 "Mom and I had a painting master class. We’ve had a great time. I haven’t been that happy for so long." 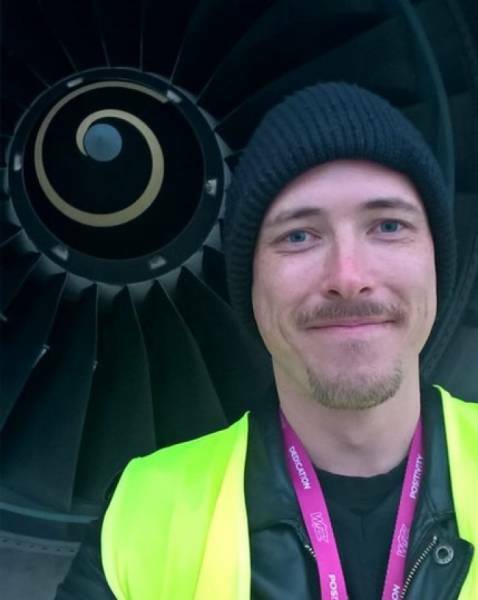 "After working as a taxi driver, skydiving instructor, and flight instructor, I’ve finally reached my dream and become an Airbus A320 pilot." 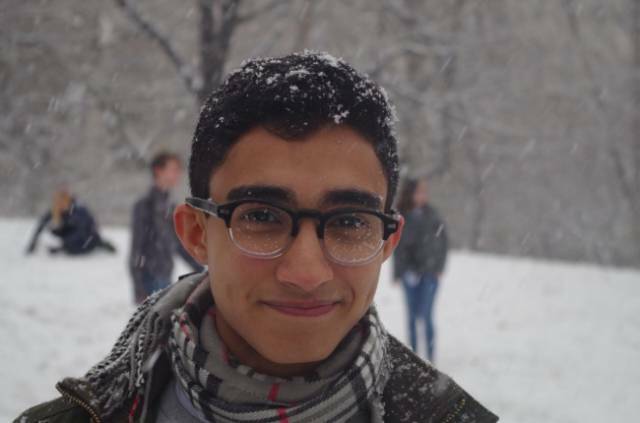 "This guy has just seen snow for the first time in his life." 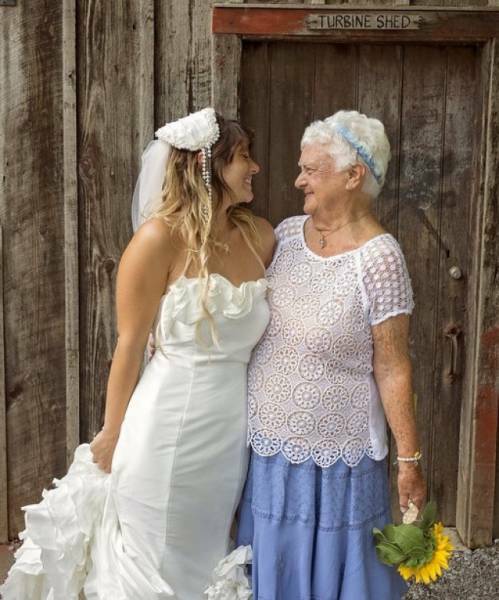 "Being 92 years old, Grandma was the most beautiful bridesmaid in the world. 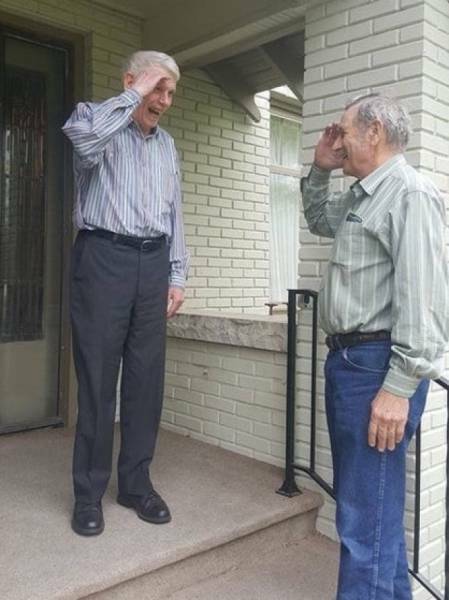 It’s the happiest day of my life." 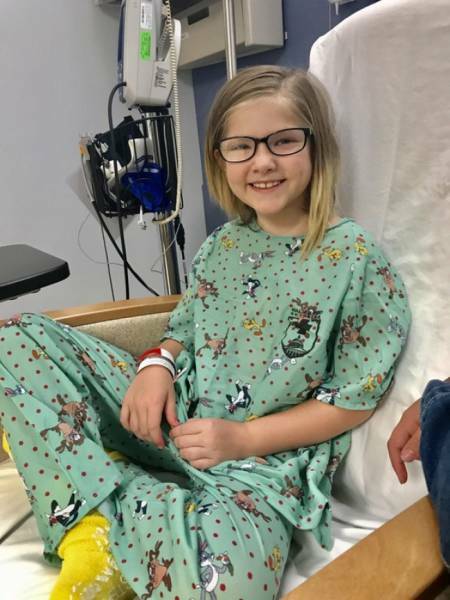 "My baby conquered cancer today!" 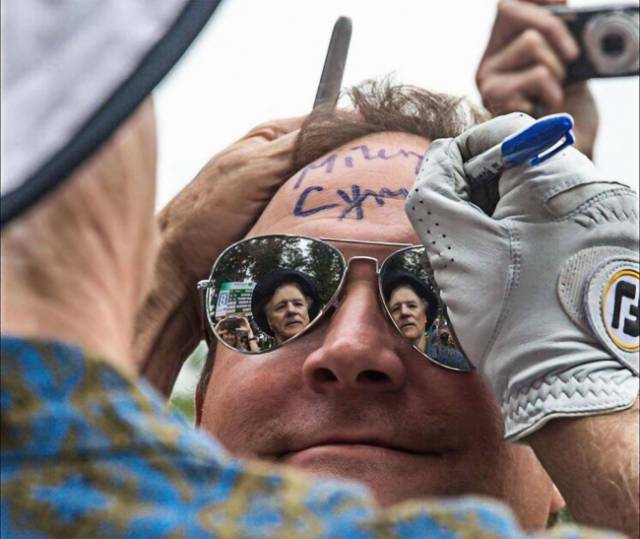 "When you ask Bill Murray to autograph your forehead." 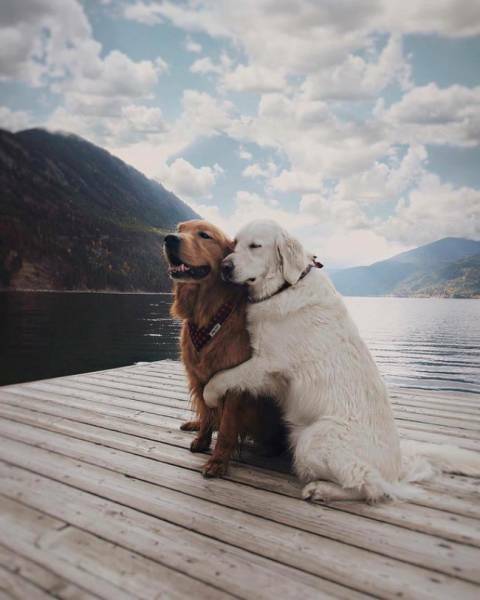 These 2 prove that true love exists. 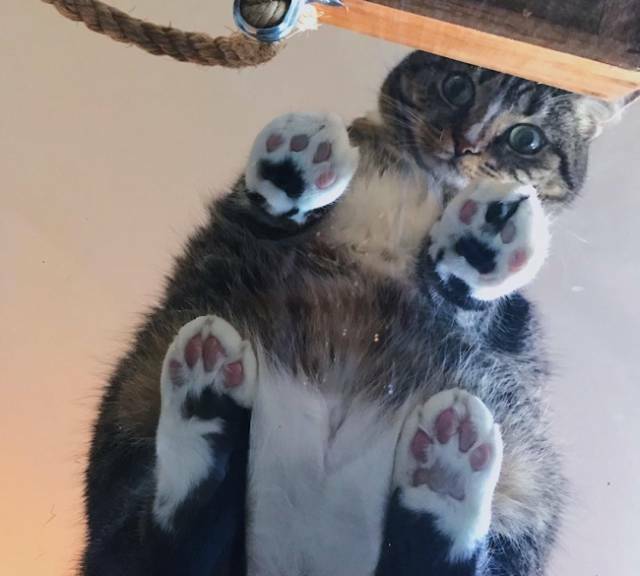 Just a cat viewed from below! 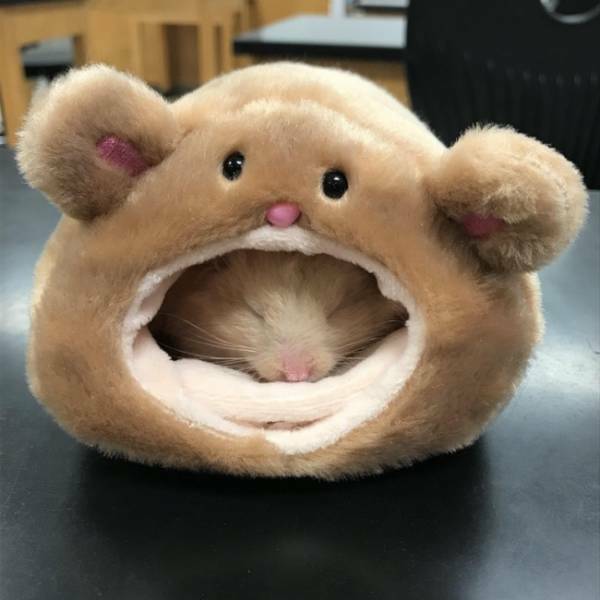 Someone really likes his new hamster bed. 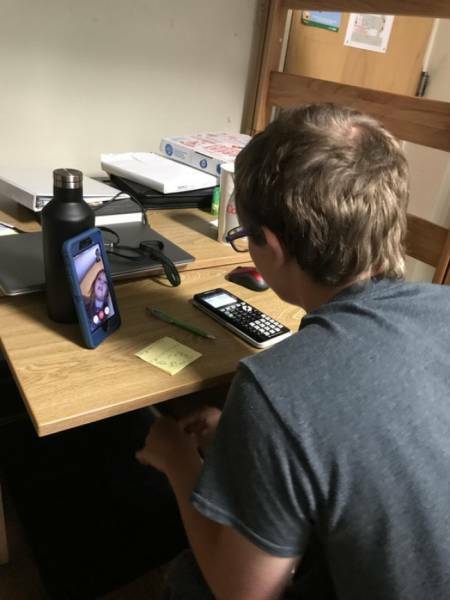 "My roommate FaceTimes his little sister every week to help her with algebra." 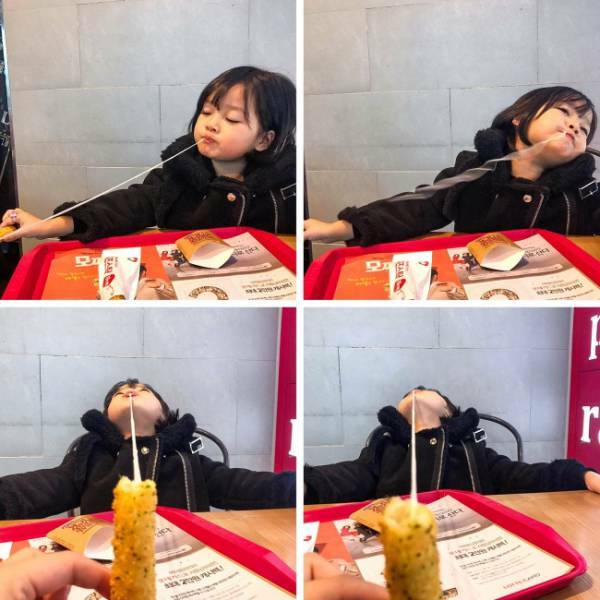 "Trying to eat mozzarella sticks. It’s not for everyone." 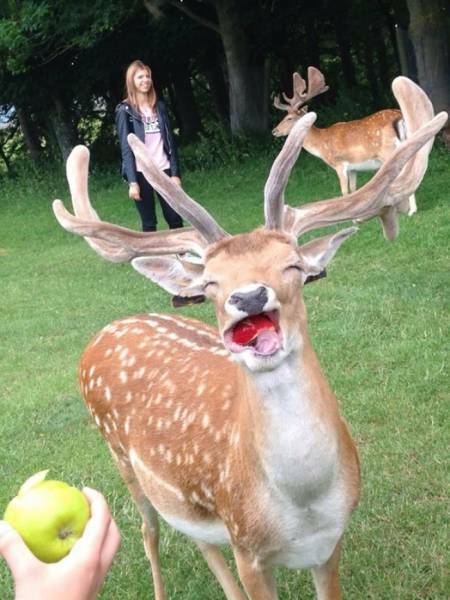 It only takes a couple of apples to make this deer happy. 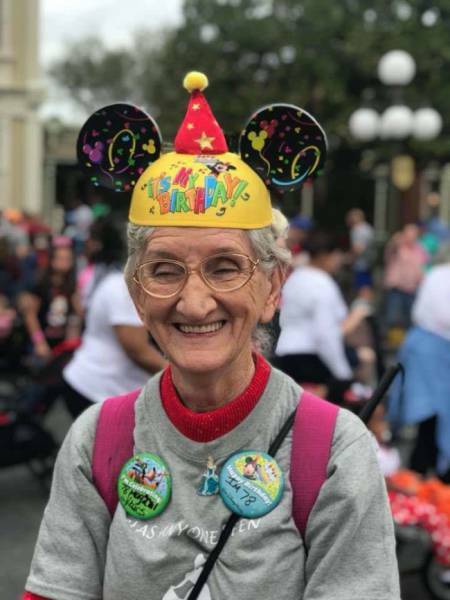 "My 78-year-old grandmother at Disney for her birthday." 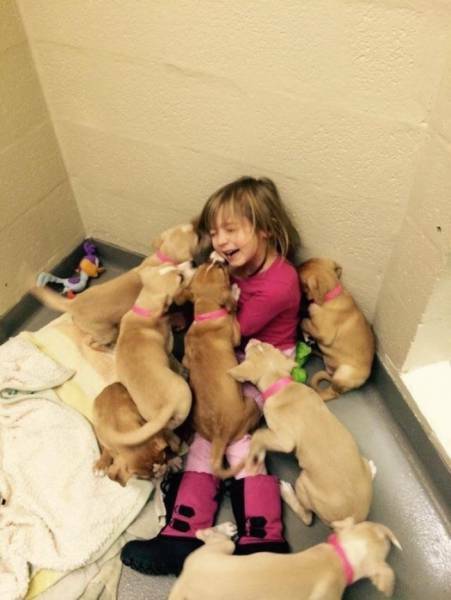 "My daughter volunteering at our local shelter, helping feed the puppies." 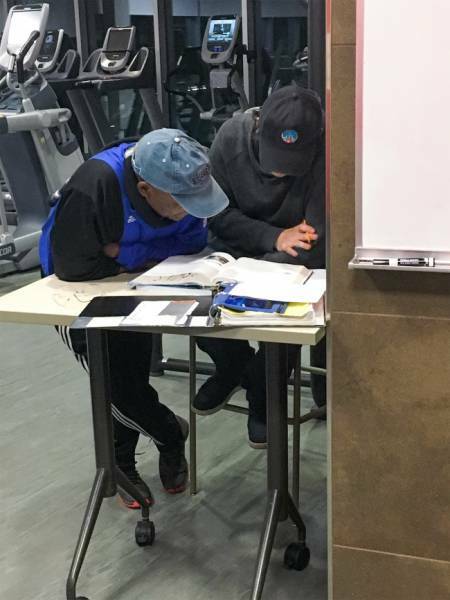 "Every time I come to my gym, this man is helping this employee with calculus." Shon is 5. 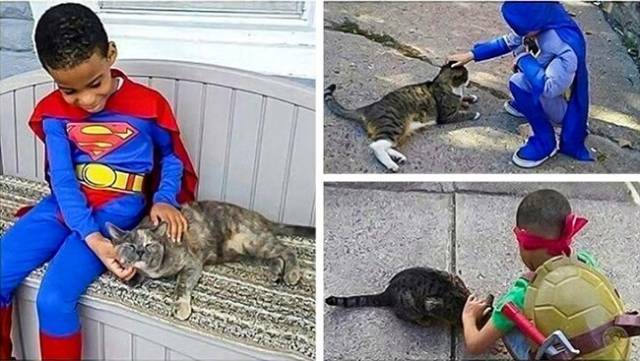 He dresses like a superhero to help street cats because "it makes him feel like a superhero for animals." 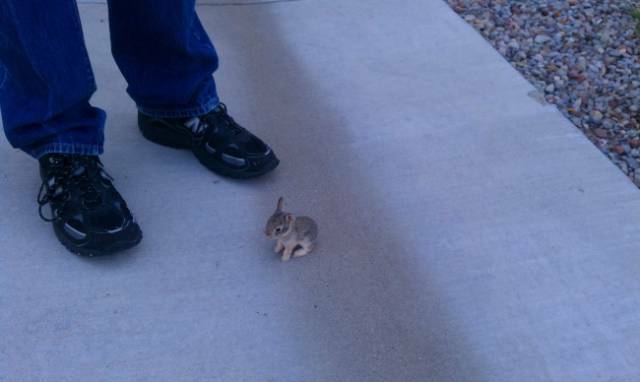 You don’t have to be fluffy to be cute. "I was never jealous of kids these days and the awesome cakes they get for their birthdays. 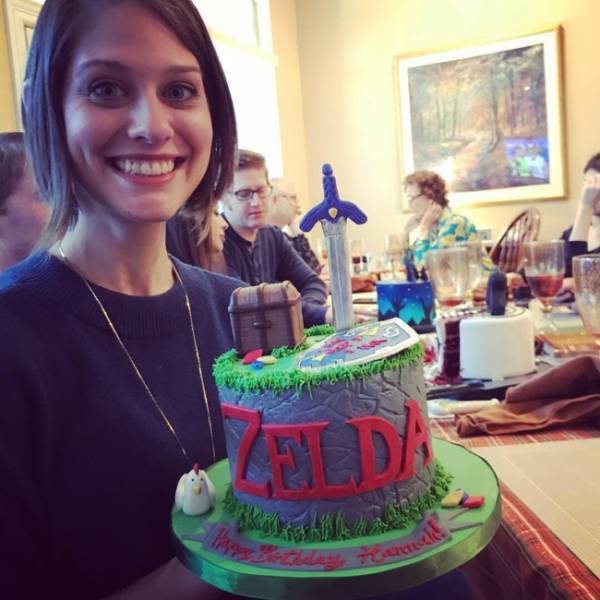 But let me tell you, at 32, I truly understand the joy of receiving one of those awesome cakes." 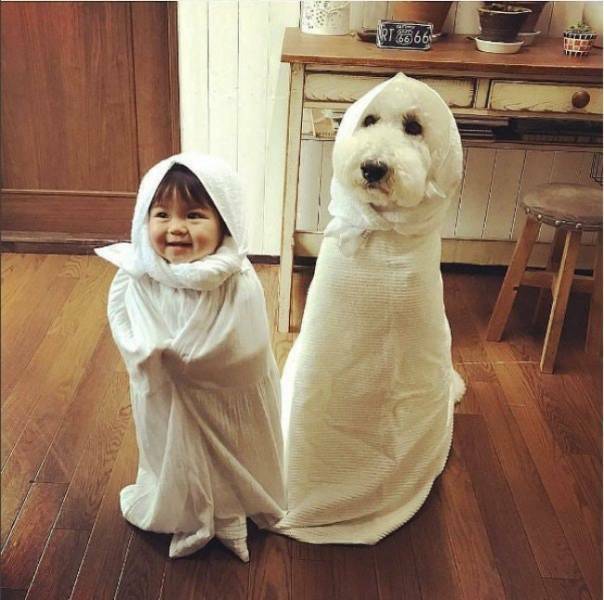 The best ghosts in the world. 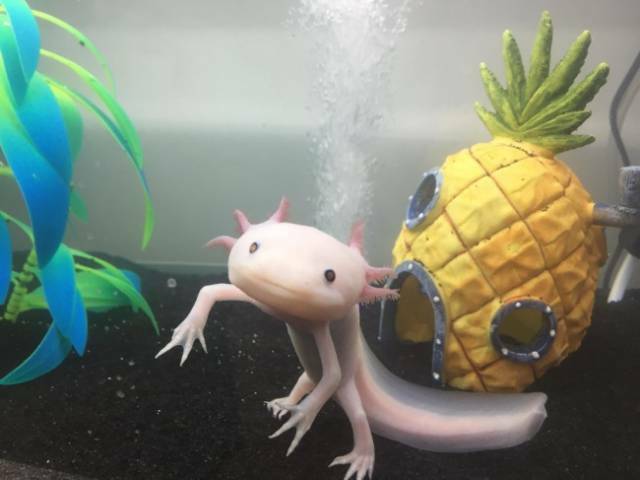 Scary and cute. We say, "The smaller, the cuter!" 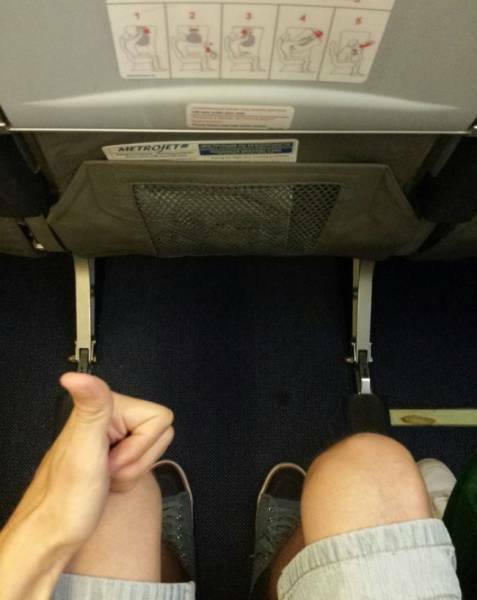 Sometimes even strangers can make you happy if they truly care. 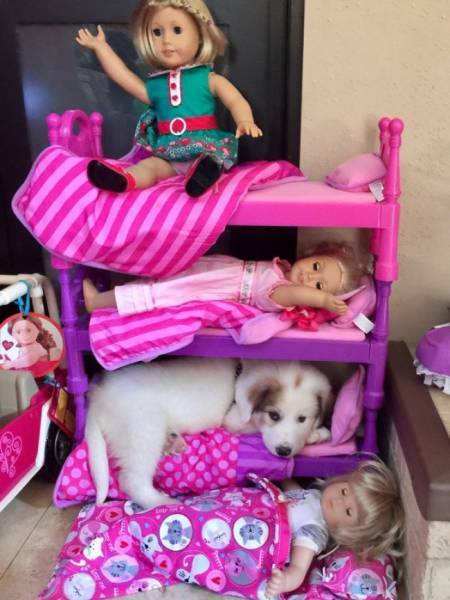 "My neighbor’s new puppy couldn’t be found...until we looked in the playroom." Those paws are extremely adorable!